" Just got my beautiful piece from you...this was a gift for myself for a difficult and stressful time that I am going through. I look forward to reading through the scroll and wearing close to my heart. Thank you for creating such a beautiful special piece. " " The Fibonacci code medallion arrived well in time for Christmas and it was beautiful, from the packaging to the medallion itself. My son was thrilled with it, and I thank you once again for the ease with which everything was handled, and the quality of the workmanship. Thanks again! " " Hello Yaron, HAPPY NEW YEAR ! ! I received my Jupiter Pendant and Fire Ring on 31 December 2010 and they were smashing ! Totally love my Jupiter Pendant and Fire Ring. Thank you, and wishing you and David many auspicious blessings in 2011. We have just returned from our holiday in Israel and received the ring we ordered from Ka. My son loves it. Thank you for your kind service. We also enjoyed your country. Blessings to you as well, "
j'ai bien reçu le pendentif et les boucles d'oreilles OM que je vous avais commandés. Je désespérais de reçevoir ce cadeau destiné à mon épouse pour Noël, et puis, le paquet est arrivé à Tahiti le 24 décembre, la veille de cette fête: mes anges (les vôtres aussi) étaient avec moi! 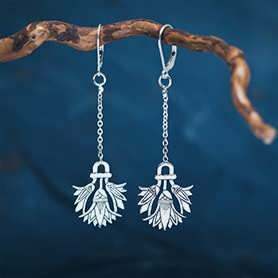 Ainsi,le pendentif et les boucles ornent magnifiquement le cou et les oreilles de ma femme qui apprécie beaucoup la qualité de ces bijoux symboliques. Grand merci pour le soin apporté à votre travail et au service d'expédition. Belles et bonnes fêtes. Excellente année 2011. " I am wearing my two pendants now and am very happy with them. Thank you so much! I'm certain I'll get lots of comments and questions about them, and I'll be sure to recommend you to all who ask.
" Feeling the Pattern of Life ring on my finger is an amazing awareness of conscience as I feel the metal on my finger as I breathe. Gratitude to you and your work, "
I received my pendant a few days ago, and I am duly impressed. David did a fantastic job with the design, and the construction demonstrated a true attention to detail. Hell, even the box the pendant was presented in was exquisite. 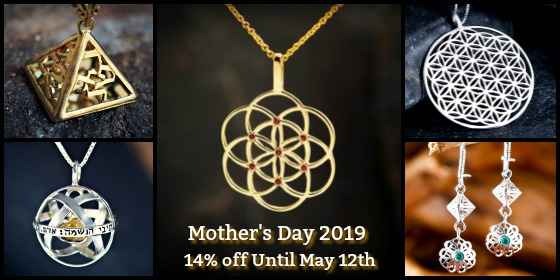 It is always a bit nerve-wracking to purchase jewelry online, and I admit I did have some slight reservations in purchasing a pendant of Heathen origin and design from an Israeli jeweler, but, thankfully, Ka has proven to be a company which I can trust. Most importantly, the lovely lady I bestowed it upon absolutely adored it. Thank you kindly, and please give David my highest compliments. I will certainly be doing business with Ka in the future.
" I would just like to pass on my thanks to David for the beautiful piece of work....the symbol means so much to me and the pendant feels perfect. Thank you for all the effort to get it to me at such short notice and in time for christmas. It arrived Christmas eve and I adore it. Many Thanks for David's work, and your effort and assistance. My husband liked it very much!
" My girlfriend had purchased two talismans for me from your website (merkaba and enneagram) and I LOVE them. What beautiful workmanship put into these little pieces of sacred truth. I will be purchasing more designs in the near future. J'ai recu ma bague aux 5 metaux ce 28 décembre et j'étais très emerveillé d'abord par la boite qui la contenait et ensuite par la bague elle meme et quand je l'ai porté à mon doigt (le majeur) à la main gauche, j'ai eu une sensation de joie et d'harmonie interieur. Merci encore et bon travail pour l'humanité entière. " This is just to let you know that I have received the jewelry. It is indeed a beautiful piece. I love it very much - and I actually received it just in time for the holiday. Thank you.... Thank you.
" Hello David! I received my order on December 15th, and the pieces are exactly what I hoped they would be. Thank you again! " " Got it today. Thanks it is beautiful and my gal loves it! " Just a brief note to say Karyn's tarot pendant arrived safely yesterday. Many thanks for fulfilling the order so quickly. I received the packet the day before yesterday! It's beautiful and I want to open the box often to look at it. I don't dare to wear the star for loosing it at the moment. Thanks David for making such a spiritual jewelry. Maybe I'll order some other work of him. There is much choice of it.Have a good time and best wishes for health and happiness in 2011, for you both.
" I have received my order and in time! Thank you so much for everything keep up the good work. " I am happy to let you know that i recived all the jewelry and it is wonderful! Thank you and David!!!
" We just got the pendant that we ordered for our son's Christmas present and it is very beautiful. Your work is lovely.
" Arrived today - just in the right time. And, I'm really excited. Thank you again. Just to let you know that I well received my jewels yesterday. Thanks very much, they are so beautiful ! We received yesterday morning our jewelery and all was well.
" I received the Tombola pendant I ordered a couple days ago. Exquisite! I was so elated to get it. It's absolutely beautiful! I stumbled across your site and fell in love with the tombola. It came to me at the perfect moment of my life and brings great meaning and insight to me. Thank you! " " Sri Yantra pendant arrived, today, it's awsome, thanks so much! " I wanted you to know that I received my BEAUTIFUL RINGS today...! thank you soo much...!! I love them May God Bless You and your family,I know that God will continue to bless you and your Business. Happy Holidays.! Received the 2 beautiful rings this morning. Nevertheless we are very happy with them. Thank you so much for your prompt and efficient service. Happy New Year to you all. " " I received the package today, thanks. You do amazing work "
I’ve received the ring today. It’s beautiful !!!
" Item is arrived and is perfect! Thank you very very much! " " My order has arrived and I want to thank you most sincerely for the service and the products themselves are PERFECT. The packaging is lovely and the "scrolled message" inside is an wonderful touch. Thank you so much, I LOVE my ring and cannot wait for my beloved sister to have one of her own to give her great energy and protection. Please thank David for my ring and for crafting this new order. My crane ring arrived today, and I love it! :)) It did look beautiful on the website photos, but the actual ring itself is wonderful. It's beautiful and as perfect as it can be! Thank you so much... "
" Thank you so much, I received my order today and it is just as beautiful as I had hoped! I will be purchasing from you again. " Just to let you know the parcel has arrived and everything looks absolutely stunning! These are gifts I will be giving with a wish that I could keep them :) All the pieces are amazing! Thank you so much to you and David – I really appreciate that I received them so soon! Blessing to you all "
" I received the I Am My Beloveds ring, and I am beyond blown away. It is absolutely beautiful. The craftsmanship is amazing. I felt tremendous energy as soon as I opened the box, and I can't wait to give it to my dear friend next week. I hope it touches him as it did me and he sees how much he is loved...maybe enough to stop being so frightened by love. He is going to Vegas with his girlfriend for the new year, maybe this will be enough to bring him over to the wedded bliss side of life and he can make that commitment to her...for the first time in his 50 years of life.
" i just wanted to let you know that the necklace came in today and it is absolutely stunning. i love it thank you so much. " I have received the order. I am very pleased with the items and with their speedy arrival. The pieces are so beautiful and magical, brought tears to my eyes! Please extend my gratitude to David and I look forward to future purchases! My order of the Merkaba pendant arrived on Wednesday. As usual, I am very pleased with it, and look forward to the benefits of wearing it. Thank-you, and blessings on you and David for the remainder of 2010 and the start of the new year. " I received both pieces today and they are wonderful! Please let David know that everything is perfect! 1 is gift for a friend and one is a gift for me. :-) The ring is perfect. I wanted it for my middle finger and it's just big enough. The jewely box and scrolls are very nice as well and provide a great touch.
" Hi, thank you so much. The ring and pendant arrived today. They are both gorgeous. The ring is one I've wanted for a long time, and the pendant is gift that I am certain will be well received. Best wishes and happy holidays, "
My college age children received their Ka jewelry for Chanukah and both were thrilled. My daughter never wears any jewelry, but I wanted Hannah to have the Rafa necklace even if she simply stored it in her dresser. She has worn the necklace everyday since receiving it. I am so pleased to have something created just for her. My 22 year old son's best friend in the entire world is his dog, Odin. The Odin's Knott necklace was perfect for Max, and I think he will probably let Odie wear it on special occasions! Thank you again for the beautiful work and sentiments you share. I have enjoyed many lovely objects from your talented hands, and take much joy in sharing just the right pieces with my family. A happy and joyfilled New Year to you and your growing family! " I'm sorry for not getting back to you sooner. The pendant arrived soon after you sent it...and she LOVES it. Thank you so much for your very quick and excellent service. I look forward to placing more orders with you in the future. Love and thanks to you and David. " The ring arrived 2 days ago. It is very very nice. My other son loved it so I'll be ordering a ring for his birthday in April. I am sure my son will love this special blessing. I love that you put so much intention into your work. I just recieved my rings and I couldn't be more satisfied! Thanks to you and David for such a beautiful and special gift. I will definately recommend your services to all of my friends and family! As always I'm very satisfied with your overall service and quality. We got it!!! Thank you so much, this is the prettiest Hamsa we have ever seen. Please thank David for us, and thank you to you for the communication. I received both necklaces today. They are wonderful! Thank you so much. I am certain they will be treasured for many years to come. Again, thank you. David does wonderful work. Absolutely wonderful. just a quick email to let you know that I received my flower of life pendant today. It is very beautiful, I love it - thankyou and David very much. I am hoping that by wearing it I will have good experiences in my life. Received my order today and am awed , grateful and very excited to have such beautiful and meaningful gifts to give.I am looking forward to wearing my own pendant and tracking the affect on my consciousness and in my life. Thank you for doing such beautiful and significant work.I know I will be ordering again,and wish you ,your family and co-workings blessings during this time of year. " I received my order today. Very quick! Thank you so much for taking care of me and my needs as a customer. The piece is beautiful and I know that it will mean the world to the person I'm going to give it to. It's going to be much more than just a gift of jewelry. . . please extend my thanks to David! THANK YOU! The package was received today and everything looks just lovely. David is a truly gifted artist and craftsman. Yaron, thank you for working so diligently toward getting these to me as soon as possible. I sincerely appreciate both of you for this beautiful jewelry. I am so pleased by my experience with Ka Gold Jewelry. Blessings to you both! " The pendant arrived yesterday and I am honored to wear this beautiful and vibrational work of art fully mindful of its meaning. As a holistic healer I also appreciate the enclosed text and the wisdom of the words of Scripture. Blessings to you and yours and I look forward to working with you again one day soon.
" I recieved my ring and necklace and love both of them! I have already recieved many compliments on the pieces and I feel the amazing energy when I wear each piece. I will certainly be ordering more of your inspiring and powerful jewelry. Thank you! " I received the ring today and it is lovely. My daughter will love it! It arrived yesterday, but we picked it up from the post office today. It is absolutely beautiful! I am wearing it right now, and I have such a great smile on my face! Thank you so much! Love and peace your way, "
TODAY I RECEIVED THE TWO PENDATS. IWAS VERY HAPY TO RECIVE THEM, THEY ARE VERY NICE. AND FOR A LONG TIME I WANTED TO HAVE THE TORUS KNOT FOR WHEN I FIRST SAW IT IWAS VERY ATTRACTED TO IT. I TRIED TO DRWA IT TO HAVE SOMEONE MAKE IT FOR ME BUT I JUST COULD NOT FIGURE OUT HOW TO DRAW IT. AND WHEN I SAW THE FIGURE OF THE CROP CIRCLE I WAS SO HAPPY. THANKS I WILL EJOY THEM A LOT AND ,OF COURSE WEAR THEM.!!!! " " Just to let you know---I have received my jewelry, safe and sound! I love my pendant and the other is for a friend I am seeing today to gift her with the beautiful Tree of Life pendant. Thank you so much. May you and yours have every warm blessing. " " David, you are a blessed man. I finally got my Phi pendant , and it is wonderful, I love it and will eventually get one for some other family members. I have many nautilus shells around my home, some cut in half showing their design of the universe. I have told many people here in Port Angeles, Washington of your work, hoping they too will order something from your wonderful creations. I too will order again. Take care of yourself David, and those beautiful children you have. And thanks for being who you are. " Just a note to tell you that the jewellery arrived safe and sound in Toronto for Jodi and her Dad. She was very happy with the size of the Genesa charm and she is completely and totally over the moon with the ring........she loves the design. Thank you so very much for all the work that went into these items. Sending you warm wishes during the holiday season.
" bonjour à toute l'équipe très sympathique. j'ai bien reçu ma commande, le talisman est très beau. un changement très prochainement dans ma vie. Tell David that his work is just wonderful "
Your design is just beautiful and the energy extraordinary. Thank you so much, "
My pendant has arrived. I just love it. Please pass on my sincerest thanks to David, he's got a wonderful gift, how Blessed are well all that he has. I've passed on his work to a number of people and will be a return customer. Sincerest thanks and Blessing "
Blessings to all at KA Gold! " I received the Genesa Crystal today. It is beautiful! Thank you for the exquisite craftsmanship- outstanding! The pendants arrived safe and sound today, boxes intact and no problems. They are nothing short of beautiful! Thank you so very much... I was close to tears when I saw them. I know my fiance will love it just as much as I do, but I will send you a better testimonial (and maybe a pic) once I give it to him for Christmas. In the mean time, I'll be wearing mine because it reminds me of our love and it makes me feel close to him while we have to be apart a little longer. Thank you for everything you and David do. Many blessings and much joy! I'll be in touch again soon! I wanted to let you know that I spoke to my father yeserday and the ring arrived safe and sound. He was glad to receive it and put it on right away, noting the craftsmanship and attention to detail in the piece. I told him why I had chosen this for him and he had also read the information that came along with the ring. I have to tell you that just now, a day later, I received an unexpected call from my Dad who called just to tell me how much really likes the ring and how many wonderful comments he has gotten on it already. I am so very happy to have purchased this item and I thank David for his beautiful work and I thank you for communicating so promptly with me and assuring that once the order was placed, the ring arrived in time for my father's birthday. Un gran abrazo desde España, "
Just got the jewelry today. It is sooooooo beautiful!! And the boxes as well. It is really well made and so special. I love it all. I feel very happy and honored wearing them. The ring arrived this morning, Royal Mail. It is as gorgeous as I thought it would be! Thank you so much David for making it, so quickly, too. I am wearing it now and feels very special. Also, it fits perfectly. As I will definitely be ordering a lotus ring in gold next year, please keep a note of the size, as I cannot remember what size I asked for. It is a pretty ruby, too. The ring has a very spiritual feel - it really is truly magical! Finally, thank you, Yaron, for your very good communication, and David for making the ring. Wishing you both peace and happiness. " I received the package this morning. The Merkaba looks really beautiful, David has done great work. I was strongly attracted to it from the very first moment when I saw it on your homepage - and I still am. Thank you very much. Thank you very much inspired jewelry. We will wear them with love and respect. I have received it. The pieces are beautiful and I've started wearing the Genesa crystal with ruby. I find the information that accompanies the jewellery very educational too!
" I just received my ring this morning. Thanks to David for this beautiful flower of life. I am sure that every one will ask me where this ring comme from. Before I did not know the meaning of this flower but now Il will wear it with respect. Received my Hunab Ku today-thank you and thank David-it's lovely and well made! It's happy in Tucson Arizona! jewelry when I give it to them. Thank you so much. Love and Light, "
You made my day yesterday :) – my package arrived and I couldn’t wait to pick it up. The pieces are absolutely stunning! Thank you so much. I am definitely going to recommend your site and your jewelery to people I know and am loving my pendant. Many blessings to you and the work you do. Lots of love and light "
I received my beautiful Gordian Knot pendant the other day and I love it! I have put the pendant on my bracelet as a charm and I still wear my Flower of Life pendant every day. Peace, Love and Happiness to both you and your families! I received the ring today- thank you- wonderful as ever!!! I am always astonished how perfect the rings fit - like the "Universe" just does it for me. I love this jewelry very much and almost never am wearing anything else.
" Hi Yaron - My ring arrived two days ago and I thank you for your excellent service and very nice work. I must say, I rarely order from oversees due to not being familiar with many of the websites. I just had a good feeling about your enterprise and am pleased with our transaction. the pendant received today. Thank you so much! The pendant is so beautiful. My daughter is very glad about it. Just to say I received the ring today. Thanks David and thanks to your knowhow of craftmanship. It's the nicest ring ive ever come across. Many thanks and blessings! " thank you very much - specially Thanx for David - the pendants are very beautyful and powerful. Good times for all of you !
" Dear David , sorry for delay...i received my flower of life:) thanks for your work, it's beautiful, i wear that every day, like much!!! " collect it this morning. My wife is over the moon. Many thanks to you and David for helping me give her this wonderful gift. " masculine, stylish, hip, embolding - while also emanating some subtle yet pretty stealth sense of spiritual energy and connection to the universe. Greatly appreciated! Shalom & Best Regards, "
" Hello, Yaron & David. I received my beautiful jewelry from you and I love it. It is unique and meaningful, aspects which are important to me. I appreciate that each piece is made during an auspicious time, with great intent. Thank you for making such beautiful spiritual pieces available to us. " I received everything today. They are beautiful. I have had my eye on the Wedding Talisman for awhile. It is very powerful for me on numerous levels not to mention the artistry from which it was 'born'. Thank you! " them with love and researching sacred geometry "
" David - I am so pleased to have received the Shefa necklace today. I do love the energy of it. I immediately held it in my left hand and closed my eyes and felt a jolt of energy go throughout my body=totally positive energy. I love it!! Thank you for your gift to humanity & Thank you Dvora Perlman for the Shefa message. " Just received my ring and pendant. I am very happy with both. The ring fits beautifully and the pendant is lovely. Most of all, I love the symbolism behind them and the care that went into making each of them. I've been busy recently and unable to send you my confirmation about the receivement of my order. So finally here it is! I received my order last week and it came in just perfectly. Absolutely satisfied with the result and state of the gordian knot. Please send David my regards. He did a great job!
" Привет Ярон и Давид! Большое спасибо Дэвиду за его отличную работу и за отличный сервис.
" I received my ring today. It's beautiful and it fits perfectly! It is the perfect symbol of my love for my Twin Flame. Thank David for me. " The Merkaba arrived yesterday and I picked it up today. It is absolutely too beautiful for words and I have a very old fine gold chain which suits it perfectly. I am so very pleased with it and cannot wait to feel its power, since I've just started wearing it. David is truly an artist. It is so much more beautiful than the photo and the detail of such a delicate piece is too perfect for words. I am "over the moon"! Bless You. I send you both my deepest Thanks & Blessings.
" Hello Yaron and Eveyrone at KA - Gold Jewelry! I am writing to say that I have received my Merkaba Pendant in the mail today. As always, it is carefully crafted and holds a gentle, positive vibration to it. Not to mention the outstanding customer service, quick delivery time and money back guarantee, it is no wonder that your business is alive and well. May you all experience unprecedented success and heart-felt satisfaction with your business and personal careers & dreams; that you continue to do something out of sincerity and integrity and the good of your heart, in an age when capitalism, industrial profits and spiritual / environmental ignorance is standard. It makes me even happier to know that David uses recycled metals, and gives me hope that one day we may live sustainably, with reusable, renewable & recyclable materials without the need for waste or toxic by-products. Each small step adds up, and so I thank you all for your efforts, and hope that your work may inspire others to follow suit. Love, Peace & Joy "
I received my merkaba last week and have waited to wear it before replying. It is exquisite! The love in your work is obvious and I wonder at the detail. I have to say, from my very first connection of discovering the site up to receiving this beautiful piece, it has felt somehow like a sacred experience. I found myself centering before I opened the package, then feeling the palpable energy in the piece. I was pleased that included was the handwritten note and a picture of you so that I could focus on it while offering my prayer of gratitude for you and your work. There was a moment of physical energy transference when I put it on. I’m not sure of the exact word to describe how I’ve felt since wearing it. I feel noticeably grounded and less bothered by the usual distractions in my day, more balanced. I have not been able to sleep with it on yet. Keep waking! My meditations have a new awareness. Again, it is with deep gratitude that I send this message. I wear the merkaba with honor and in acknowledgement of your gift and your mission. Since the day I placed my order, the merkaba and its meanings have been presented to me in so many ways it is amazing, so I have had confirmation that it was the piece I have been looking for, and I will be ordering again soon! Congratulations on the American Art Awards! I’ll now have to share you with the rest of the U.S.! With love, I bow, "
My order arrived this morning. Fast delivery, excellent packaging. Thank you for the great customer service and your efficiency, I'm very satisfied. The tree of life and the Over Soul pendant are beautiful and so meaningful! I received the pendant yesterday and it is simply beautiful. My thanks to David for creating something so very special. I am sure my girlfriend will love it. Thank you again and God bless. I am writing to let you know that I have received my new ring! I was so excited to come home from my waitressing job, to find that my ring had come! Thank you again! I can't wait to show it off :) I love Ka gold jewelery, and hope the very best comes of your business and to you and David as people! With much love and adoration, "
There are very beautiful, so beautiful.
" Good day David, i received my rings today I am very happy with the work done, in fact the jewelry are more beautiful more than what i am expecting. the rings are= FIVE METAL RING & EARTH GRACE RING. so expect my next order shortly, these time i will be ordering gold jewelry and i will let my love ones knows what a wonderful works going on in your organization. as i am written you rite away i have my rings worn on my fingers accurate size & fitted. BEST REGARD TO ALL FLOWER OF LIFE JEWELS STAFF, i love you allllllllllllllllllll "
En el Día de ayer me llegaron los colgantes son muy bonitos y se que serán de gran Bendición. Gracias por todo y muchas Bendiciones!!! Saludos y abrazos a David. thank you and David so much for the work. I received the ring yesterday and it fits! The ring feels and looks fantastic. I was able to retrieve my parcel from the postal service yesterday and everything traveled safely. The pendants are gorgeous and I now know why they reached out to me even through cyberspace. It amazes me that such a small thing can bring such a large amount of beauty, hope, joy, and peace. Yaron, thank you for your kind assistance with the ordering process and making sure that these small but mighty pieces of art reached me. David, thank you for your artistry and creativity, the wonderful craftsmanship, and your unique vision. That you are able to communicate your ideas to others is a huge gift and I am most appreciative. I'm quite sure I'll be back to order more in the future. I just wanted to thank you SO much for the beautiful jewelry. 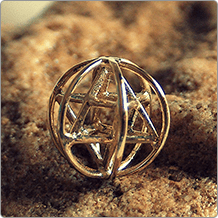 I had ordered the Metatron’s cube and the Priestly Blessings ring – I LOVE them both!! Thank you for such great work and wonderful customer service. Have a wonderful day J "
Just sending you this mail to say thank you for such quality work. I can feel the Loving energy you have put into this. It is the only pendant I can wear all the time as it just feels so right. The world is moving into a healing time and I am glad to be part of it. Thank you so much for the beautiful and powerful necklace. I can feel the healing already. I received it on Shabbat which makes it so special. " " Shalom Yaron and David! It is with much joy that I have received my flower of life pendant. Thank you so very much ! It is truly a beautiful creation. I am that I am, "
I recieved the ring on Friday. The ring is stunning. Much more beautiful in person. I feel so honored wearing such a powerful ring. Thank you David for sharing your gift with the world! I am already looking into my next piece! Many blessings! " I will wear it with much pleasure and I hope it will strengthen me. " " thank you for all your service yaron, i have recieved my jewelry order and am very pleased. davids skilled attention in combination with personal intent will make these an absolutely special gift that is both valued and admired. thank you all very much and many blessings to you, "
I have received the beautiful ring that I ordered. I am very happy with it, it is even more beautiful than on the image on the internet. much, it's a nice piece of work and i think my wife is gonna love it. Me ha llegado el colgante. Todo perfecto. Dile a David que muchas gracias, que parece maravilloso su trabajo, me gusta la energía que vibra en dicho colgante. Seguramente cuando mis alumnos vean su trabajo, tendrá más noticias de mi. Muchas gracias por realizar esta labor con tanto amor. I received the Flower of Life today. It is so beautiful, I love it. Please tell David its a fantastic work and many thanks and blessings to all of you!
" Many Blessings and Thank you so much Yaron and David for this wonderful Package I was so very esctatic to receive today! I must tell you that I LOVE all these items and am wearing them now... they each possess the greatest energies and do really thank you so much for taking the extra step and shipping them so quickly to me! You are Golden!
" Hello! I picked up the necklace in the mail today, it looks beautiful! My man is going to love it. I am also incorporating the seed of life into a tattoo of mine so am happy to have a beautiful representation to show the artist. Thank you so much. " I received the rings today and everything was perfect, just perfect. I could not be happier, truly. The scrolls and boxes are a very nice touch as well. Please give my thanks to David for these wonderful works of art, they will be cherished. I'm already looking at another two rings and two pendants that have caught my eye. Looks like I'm a customer for life. KA Gold Jewelry is exactly what I've been looking for. Thank you Yaron for the great service, I'll be buying again soon. " " The shipment arrived right on time. Awesome work, David deserves praise and really very, very much. opravdu moc a moc děkuji. " I wanted to let you know that I received my order last week. It truly is beautiful!! I'm very satisfied and will be looking forward to doing some more business with you in the future! I received my Mercury talisman today. THANK YOU VERY MUCH! It came at a very significant time in my life. I really appreciate your prompt mailing! Wishing David and you the best in your labor. I’m very blessed for this opportunity to enjoy his gift. " " I just received the package the other day and it is beautiful. Thank you so much , and give my regards to David, he did a wonderful job. You have a great friendly business and I will make sure a refer you to others.
" I received my order today. My pendants are absolutely exquisite (especially the awakening pendant). Thank you so much. They are treasures. " About a year ago, I bought the lotus ring, the abundance ring, and the genesa sphere pendant. I am thanking you for the beautiful jewelry you make. A number of people have commented on it as it is unusual and they find it beautiful as well. The Genesa pendant reminds many people of the galaxy that was around the cat's neck in the "Men in Black" movie. A number of people also love the lotus ring as well. Thank you for making jewelry attractive, beautiful, and beyond the ordinary. " My daughter and I have received the rings and we our more than pleased with them. The quality of them is outstanding and we are thrilled to wear such beautiful jewelry!
" I recieved the flower of life jewerly the other day! I love it and so does my boyfriend! Thank you so much, you probably get more orders from me soon haha. Thanks again! :) "
workmanship in completing our order. We will be more than happy to do business with you in the future.
" Hi Yaron. It arrived last night. How beautiful! Please thank David for his superior craftmanship. " This is truly a wonderful gem, a real treasure. It’s beauty and mystery shine forth! David, your wonderful craftsmanship and spirit make this such a special treasure. I’m So Pleased and (of course) am wearing it and just loving it. Thanks you SO MUCH. It’s been an absolute pleasure doing business with you both. I certainly hope to be a returning customer, "
" I am pleased to announce, that the ring has arrived and I am extremely impressed by David's work. It is even more magnificent than the pictures on your website implied. You both have my gratitude for a job very well done and I thank you.
" 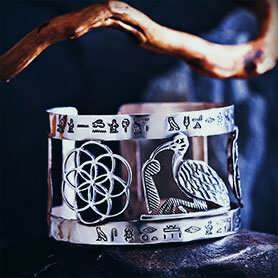 Your jewellery is visually stunning and the message behind your design always reminds me to connect to the spiritual dimension of the human experience. Thank you and many blessing to you as well !!! " " Thank you for the order I placed and received last week. 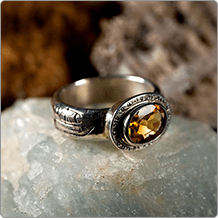 The Christ Conciousness and Flower of Life Ring. I truly enjoyed receiving them and was filled with anticipation when they arrived in the beautiful packages. Thank you for the craftmanship and beauty of the pieces. " " I just received the most beautiful bracelet from you. I LOVE it! And it fits perfectly. Thank David for me! and thank you Yaron. I can't wait to show all my friends as well as purchase something else from you. Thanks again & Blessings! " i received the earrings today. they are beautiful as all of david's work is. it arrived today. I had to hurry to pick it up at the post office before they closed - but I'm happy now! Many thanks and blessings to you and David! It's really beautiful and feels terrific when I wear it!
" I just received the Gods word gold pendant. It is more beautiful than I imagined. Thank you so much for your extraordinary product. I look forward to passing it down to my grandchildren. May the New Year be a healthy and happy one for you and yours. To David we are blessed with his creativity and wish him long healthy and prosperous life as well. Looking foward to doing further business with you. " The ring fits perfectly and looks wonderful! I will highly recommend your company to everyone seeking quality, meaningful jewelry. Have a wonderful day! " " I recieved my package yesterday! It is beautiful! 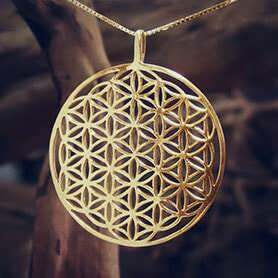 Thank you so much for all of the positive energy you put into your work :)) "
" Hello, I wanted to let you know that I recieved my order for the Flower of Life pendent yesterday, all in wonderfully packaged condition! Thanks so much, I really am intriuged by this piece and it is beautiful as well. I wish that I had know you were in Israel when I placed the initial order, as I would have ordered an additional piece or two so that it could have all been sent together... oh well! I do appreciate the responses on my past e-mails to keep me updated. I am looking forward to showing this off and attempting to explain it's significance. Thanks again, "
" It is so beautiful, I simply cannot believe it. The prayer is meaningful, especially to a 66 year old woman. It takes so much courage to grow older and deal with all the things that can be thrown at you. Blessings to you for your beautiful creations. " " I am writing to let you know that I received the "Star of David for protection - gold" that you made for me today. I never thought you would be able to get it to me all the way from Eretz Yisrael before Rosh HaShannah given the late date I ordered it; thank you so much for finding a way to get this to me in time. Remarkably, not only did the jewelry show up before the date I had hoped to be able to receive it, but it arrived only two hours before I had to go to the doctor for a very scary test. What a wonderfuly comforting hashgacha pratit. The piece is beautifully made and exceeds in quality what you were able to portray in photograph on the website. Thank you again for your beautiful work and the personal attention given to my order - particualarly the prompt and courteous attention to my questions and concerns given by Yaron. I just got my jewelery they are so beautiful and i LOVE them thanks so much. Just a note to say I received my jewelry and I am very very pleased with both pieces. I would like to thank you for your lovely jewelry and your kind blessing too. I am sure to shop with you again and have spoken to family and friends of your work. I wish you and your family well. " " i have received the package. I wore one yesterday and the loving energy is just flowing. Thank you for your help in getting it here on time. " I'm sure I will order another sooner or later. Many blessings to you and the whole team. My extraordinary pendants have now arrived. They are all and more than I dared to expect, and carry a very special meaning to me. Thank you for them both. I received the pendants that I purchased for my wife. They are exactly as I hoped, very attractive and something that is not found in a typical jewelry store. The shipping was very quick and you kept me informed, which I appreciate. I will be making purchases in the future. Thank you very much for the Quick-Service. I am very happy that these two Flowers of Life arrived on time. The two flowers are very beautiful and very well made! My compliments. David is an artist! You make me very happy. Also thanks to David who made this possible too! Words are not enough to thank you for this miracle. I'm very thankfull to you and the universe who makes this possible. One flower of life is for my best Friend Hana who is spiritual on a very high level. The other one is for me. We meet each other some month ago. And Hana and I knew that the universe bring us together. We both are married but our love is from another dimension. We don't need the physical contact our spriritual energy is anough. Just received my bracelet today and it is stunning! Can't wait until I can afford the gold one!!
" Hello David, just wanted to let you know I received all items and look forward to presenting them as gifts to their new caretakers. They look lovely.
" Thank you so much for the beautiful ring! I was really excited when I received it and havent taken it off yet! I know it will bring me much abundance in my life! Your work is beautiful and will definitley buy more in the future! Bless you! " " My silver Golden Spiral arrived yesterday. It is absolutely beautiful and is this time for me! I wore is this morning and it received much notice and many compliments. For me it is the symbol of the Divine--uniting all in God's Oneness. Thank you so much for all you do to strengthen belief and love. " " LOVE, LOVE LOVE my ring and ear rings, and have been showing it to everyone. Referring lots of new customers. I received my order. it is really beautiful tree of life. And I sincerely hope that merkaba to help the person whom I gave it to. Many thanks, I'm more than satisfied, I feel happy. jewelery received last week thursday, thanks a lot.
" We got it thank you so much please let David know that we feel it is an amazing piece and she will cherise is forever thanks again "
I received my pendant today and it is very beautiful. I am definitely going to treat myself to one of your pendants in 18k gold. Please tell David thank you for his outstanding work. J'ai bien reçu les 3 pendentifs, ils sont magnifiques comme toujours !!! Vous remercierez et féliciterez David de ma part pour ce superbe travail !!! Merci Yaron pour votre service et votre suivi clientèle !!! I just wanted to thank you for the Divination Pendant. A friend of mine introduced me to your beautiful work. I had a strange dream this morning about my horse that has passed on. I believe he appeared in my dream to let me know that he still wanted to be a race horse and that all my other pets that have passed love and forgive me for not spending the time I should have with them and also to forgive myself and let go. I rarely remember my dream and this one was not very pleasant. I am ok with it and feel all is well in that direction. It is my hope and desire to do healing work with animals. I am a healer of the people. Your prayers for me and the work and energy of the pendant would be much appreciated. I would love to experience all the Divination as stated. In God's Grace and Gratitude, "
" Hello, I just received my ring and I absolutely love it! It's a great work of art, the craftsmanship is just beautiful, so well made. Thank you very much. I'm very proud to wear it. Warmest Regards, "
" David, I wanted you to know that I received my "entangled" pendant a couple of months ago and every time I wear it, I feel more peace, joy and balance. When I've had a particularly good day emotionally, I've asked myself what made the difference and it's when I've worn my pendant. Thank you so very much for the work you do. Blessings, "
" Hello David and Yaron! husband now want to order a Courage ring, so I will be back for more. Many Blessings and Inspiration for the upcoming years! " "Cosmic Jewelry Artist".Try make more products,try make Our Dream come True! you have great mission! I will follow you. I just ordered one more product from both of you. I have received my items today, my wife is very please, thanks, and please send our admiration to David (and you of course), to have a very nice colecction and to bring to our lives this "magical" pieces. " " just wanted to let you know i received my jewelry last week.. thank you so much it is beautiful and means so much. " David for me for the wonderful work. Thank you. " I have received the item that I have ordered. Thank you very much, I am very happy with the piece and also with the customer service. I will definitely recommend you to my friends.
" Namaste. I just received the ring yesterday and I love it heartily. The Lotus Ring is made so fine and greatly fit my finger. The ring reminds me of how We are connected as One in the universe since eons ago, and Love is the savior of the world. When We are One, life flows within you and without you.
" Wonderful to report that I have received your beautiful jewelry and have been wearing it since I received it. Thank you very much for this symbolic reminder of a wonderful moment during my meditation. Thank You!! Blessing to you all, "
" It arrived today and is a lovely as I expected. Thanks!! " " I received the pendant and necklace yesterday. Thank you so much! It is beautiful and I know my friend will love it. I will be sure to buy from you again in the near future. Thank you so much for your help. What a fine company you have! I received my order well, thank you very much. As usual a beautiful and powerful creation! I received the ring today. Please tell David that I appreciate all of his hard work. The selection of labradorite is quite nice as well. The great workmanship is what makes it so beautiful and so comfortable!
" Hello. I received my jewelry today, I am very appreciative and excited to wear my flower of life pendent. The craftsmanship is very impressive.
" Hello David, My order arrived yesterday and the items are lovely! I so much appreciate the beautiful work and beautiful way it is boxed with the scrolls of information. This is my second order and I am sure I will be back again and again! Blessings to each of you! Kerin "
The earrings arrived last week. They're beautiful and I love them. Thank you! I received the Eye of Horus pendant, in silver, which you made and sent to Finland. It is beautiful! Thank you so much for your hard work on the piece! We will definitely be ordering more jewelry from you in the future - hopefully near future! Your concepts are beautiful and right up my alley. I just received the Raphael Pendants and they are so exquisite. Thank you so much! Please tell David thank you. I plan on giving my dad the pendant over the weekend with a Raphael prayer. Peace and Blessings to you and David "
I have received the AWESOME pendants...they feel absolutely yummy and are of course...beautiful. Heart felt thank yous to you, David and everyone involved in these cosmic creations. The lotus ring with emerald arrived today. It is exquisite and fits perfectly. And, as always, I cherish your beautiful resonance that is a part of every piece. Many blessings and love, "
I received my ring today and I Love it!! Tell David his craftmanship is magnificent.
" Hello Yaron,I received the talisman this morning. I put it on straight away and immediately felt a warm glow round me, very powerful. I'm sure it felt relieved to reach me, it seems to have had a long hard journey to get to me, not your fault...Thank David for me, the talisman is wonderful! Just to let you know that I have received my order. I am very pleased, it is a delightful design. I have received the necklace and it's perfect. Thank you very much for your help.
" I wanted to let you know that I got my SriYantra pendant today. When I opened the box I felt like crying - both because it was so beautiful, and because I knew something powerfully sacred was in my hands. Thank you SO MUCH. I' receive the Houng tibétain ! Thank you ! I'really love it, great blessing support for my meditation. Best wishes for you ! " I am pleased to inform that I have received both the Genesa Crystal and the Priestly Blessings Five Metals Ring. Both items are a joy to behold. They have a special quality about them such that when I put them on I do not want to take them off again. Please send my thanks to David for making such beautiful and meaningful things. I am so glad to have found your website. I chanced upon it while looking for “Om” and mystic knot pendants. This has sparked an interest in me in sacred geometry and kabbalah jewellery, which I had not known about before. Will be checking out your website now and then for new designs.
" I have rec'd it. So beautiful. So deeply moving. I am wearing it with my Star of David around my neck.
" Just a note to let you know I've received the order. Many thanks for excellent work and quick shipment! All the best "
" We have recieved the necklace. It is exactly what we were looking foreward to. We are very happy.
" Hi, Yaron san, Yes, thank you so much for your support. I have received those works on Tue. Aug.3rd. And I am really happy about its beauty and impressed about something behind it. Thank you so much and I am looking foward to make contact with you for my next order. Ha ha ha. Just kidding, My job is sales and I am getting into laghter yoga these days... Anyway, David san's work and knowledge is really something. At the end, it is emerald tablet. Some people told me this before and I finally realized by myself. Well, Yaron san, thank you so much. It was really fun to exchange message with you. Thank you and Arigato !! Many blessings, "
My order has arrived yesterday, today I was able to pick it up. Thank you very much, both rings are very beautiful, I am very pleased. Be sure that I will find some more things to order . I have already something on my mind, but I'll wait a bit. You have such a beautiful things, thanks a lot once again. Blessings to you too and Shalom! " I got the jewellery finally – thank You very much indeed, it is wonderful – love it! I will highly recommend Ka Jewelry and order again. Thanks + many blessings, "
I've received the "Eye of Horus" a couple of days ago. Beautiful piece, striking positive difference from anything one usually finds in this price range! It is supremely nice for a touch ,by the way, not just for a view. I'm glad I've picked the Israeli Post option - don't think it could be any faster with the more expensive options. I'm sure my wife will be extremely pleased with the Ka Gold Jewellery, after she is presented with the item. I'll be happy to recommend your web shop to my family and friends.
" The order has arrived and I'm very happy, excellent workmanship. I really appreciate it, thank you very much! Just received my pendant and chain today. It is beautiful. I wore it right away. Thanks for making such beautiful and meaningful jewelry. Keep up the good work. The day before yesterday, it arrived safely. I am very much pleased. 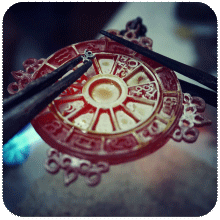 The pendant was said that it is carrying out very good energy to the teacher of chi kung. From now on, I am looking forward to it. Thank you always. May much love and light, and joy there be! " " I am very sorry that I could not wait to recieved the ring that I orderd it took along time to come to the U. S. But I will sure tell you it was well worth the wait . Thank you so much , I love my ring , and as you can tell Iam very happy with it ! I will be ordering from ka jewelry in the near future P.S. from what I have seen most jewelry sites on the net do not go up to my ring size 14 / 25 ,So a BIG THANKS again To you !!!! May Gob Bless you and your company and your family and I wish You the best of LUCK !!!!!!!!!!!!!! ( Ana- Be-koach Ring ) I will be praying everyday the prayer , Thanks "
" Thank u so much I received my ring. Its BEAUTIFUL. Great work, david!! I may want to order another soon, so I will touch base with u in a week.. I just received my sun pendant. I have no words ! It is so beautiful. David has a big gift from our Creator to do such wonderful art. And I am very happy to know that they can be send to México. May God Bless You All, "
I received my Hamsa today. Just wanted to let you know. It's beautiful! Many Blessings to you and David! Blessings to you sir, "
Thank you for the beautiful jewelry that has just arrived. I am very excited to have it, and welcome the inspiration that it will bring. I received the Eye of Horus yesterday. Very Nice. Good workmanship on the piece. Please let David know that I'm very happy with it. Many Blessings to you "
I received my pendant on Saturday. It is absolutely gorgeous and I've haven't taken it off since I've received it. The jewellry arrived yesterday and it is sooooooooooo beautiful. Both pieces fill me with joy and serenity at the same time. Would you please thank David along with the rest of the team, yourself included, for not only the beautiful jewellry but also the blessings and incredible energy in each piece. I received my ring yesterday which is beautiful. I feel a special energy from it when I wear it. My gold Merkaba pendant arrived a week ago, it is really beautiful and magical. It is amazing that it was made by you especially for me at the request of a special friend. I love your jewellry but nothing compares to the Merkaba.
" The pendant arrived today! It's perfect, thank you so much, guys. :) "
I received my Merkaba today and I love it!
" I received my five metal ring today and am extremely happy with it. I hope to do more business with you in the future. God Bless. " The package with my merkaba pendant arrived in the mail this morning. The work is gorgeous. Much thanks for your beautiful jewelry. I received my order today and the rings and pendants are beautiful. Plus, they arrived so fast! Thank you for everything. I just received my Tibetan Hung necklace and I wanted to say thank you so very much. It is simply beautiful and I adore it. I will be ordering again soon. I just wanted to confirm I received my pendant and it’s exquisite. THANK YOU! " I received the order and am delighted with the piece. My son will be here in a couple days and I look forward to giving it to him since it holds such meaning. Thank you for sharing your beauty. " I have recevied my order and it´s very beutiful and feels powerful. I´m very satisfied. The Pendant Key of Nine is very exciting and Chris Consciousness feels powerful. Thousands thanks for the beutiful and great "
Thank you so much for the absolutely stunnning and beautiful jewelry. They feel very powerful peaceful and uplifting. On top of all this the craftmanship, the package and the tiny scrolls are outstanding. Thank you again, "
I received my beautiful piece of art yesterday and I have not taken it off! The feel and energy is wonderful! Thank you! I look forward to many more! The order was received and my mother in law was very happy with the beautiful ring.
" David, I received the pendant yesterday. It's beautiful and I can feel it was made with loving intention. I will wear it daily to help me keep my thoughts, heart and energy aligned with the Flower of Life. Blessings on your work and your art, "
I received my order well. These are beautiful and powerful items! Thank you very much for the Victory pendant! I received it last week. Blessings to you both, "
I got my Merkaba pendant today and couldn't be happier! I've been looking for a Merkaba pendant off and on for the last 13 years. To have finally found one was quite a surprise and to be able to get it in my favorite rose gold makes it all that more special. Thank you for creating such a beautiful jewel for me. This is something I will wear always and long treasure! Best wishes from South Texas, "
" I have recieved the pendant, that was fast! Thank you very much! I'm sure I will be interested in your products in the future :D "
Yesterday we recieved our pendants. They are lovely, my son Niels, is very happy with his Gordian not! I just received my Cosmic Zodiac Pendant; it is beautiful. I also just found out on Saturday that I am pregnant, which is really exciting for my husband and I. Thanks again David for your beautiful work and Yaron for your customer service =) "
We received the pendant yesterday and it is beautiful. Please tell David that we are very pleased with the quality of his work. Thank you so much! I have just received my Eye of Horus pendant - I love it - it's beautiful, and beautifully presented too! A colleague of mine has admired it already. Please relay my thanks and very best wishes to David also. I chose this piece after much careful searching online to find the right design - it was a treat I bought for my birthday, so I am really delighted. With warm regards and best wishes, "
Today my ring arrived and I am thrilled! It is exactly what I hoped and fits my hand perfectly! Simply perfect. Thank you! " I received the abundance necklace today and wanted to say THANKS!!! Thanks for your time and patience in making my order perfect. I have just received the pendant today. I know that each item is especially prepared for the person, and when I wear it I feel that it has a very significant weight energy-wise. Thank you for your arrangement to have it arrive on my side on the wake of the solar eclipse. I got the 4 rings they are beautiful and i love them!! I've worn the moonstone and Black onyx so far and really get a good energy after wearing them.. Thank David form me, God bless both your hearts! " my daughter commented me that she already received a package. Thanks a lot ! I will enjoy my pendant. Signifies a lot to me, I believe in its force. Thanks and all the Bleessings, "
I ordered a silver eye of horus pendant from you guys and I recieved it earlier this week and have worn it every day since I got it. It is an exquisite piece. Today, something unfortunate happened to me. I was hit by a car. The force was enough to carry me a few feet and it broke some of the fabric on my purse. I didn't fall or suffer any serious injury, and I thought myself to be very lucky. But then I thought: was it really luck? The eye of Horus did it's job to protect me and it probably saved my life. I wanted to extend my thanks and good wishes to you all. Thank you. " Yesterday I received the packet. So it is nice in time as a birthday present. Thank you and thank David for his beautiful work! Have a nice day! And maybe till another time (your site makes me greedy). I received my order yesterday. Your work is truly exquisite. I am a healer and I am so excited to work with the Christ consciousness grid. It is now on my alter radiating its amazing healing energies....generating peace, harmony, and especially love. The gemini pendant is also very special...it felt wonderful as soon as I put it on! I just revived my pieces, wow, that was quick! I absolutely love them, and they arrived right before Shabbat. Please give David my regards, and I will be sure to let all of my friends know where I purchased these items.
" Today I received my order. Thankyou, I am over the moon. I think your work is beautiful. I will keep your website as one of my favourites and use you again. " " Just received my Uranus Pendant today! I looked up the full description of the symbology...and it makes the creation very precious. When I was born Uranus was in the 22 degree of Pisces...Gemini seems to be occluded...Aries appears just beyond the 22 degress of Pisces where Uranus is located. I feel the effects of Uranus throughout life. This is why I am sure I was there to read of your creation in time to be one of the lucky recipients. It also challenges me to have learned(in a celestial navigation class) that the actual positions of the constellations in the heavens are moved from the original conception of the zodiac...Astrologers do not recognize this notion...I am not sure what it means. You have been truly blessed with spiritualality and artistic talent. I doubt that you have an equal anywhere in today's universe. God Bless.... "
Received my Tree of Life pendant today in the mail, I am so, so happy with it. It is even better than I was expecting. It's just beautiful. It arrived safe and sound, I love the box it came in and the scroll that was included. I will surely buy something else from you in the near future! " I am ecstatic and delighted to let you know that my new Uranus pendant arrived today. I immediately put it on and felt an instant shift in my energy. Thank you for following your heart and guidance in creating all of your beautiful pieces. Sending you skies full of stars to wish upon, "
the package has arrived - very beautiful! The ring is larger than I expected but astonishingly comfortable, the pendant fascinating. I am looking forward to giving it as a present tomorrow! Thanks again, I will certainly order again in the future! " " The piece has arrived thank you and I like it very much, I hope my boyfriend does too. Thank you also for great service, I feel confident I will buy from you again. Please thank David, the piece is beautiful, and I'm sure my Goddaughter will be delighted and blessed by it. This morning I received the Merkaba. Thanks very much!! Also thanks a lot for sending it so soon to me. I ‘ll give it to my sister on Saturday and hope it will protect her and her husband when they leave the country to live abroad for several years!! The rings arrived yesterday in perfect condition. They are great, my wife and I love them. Thank you! " " Yaron, I received the rune necklace yesterday. It's beautiful! Please pass on to David that he is a true craftsman and my thanks. I just want to say THANK YOU to you for all your work and nice e-mails! and of course especially to DAVID for his wonderful jewelry. I am so happy with my new ring - as with all my jewelry! Every piece has a special meaning - per se and for me personally. 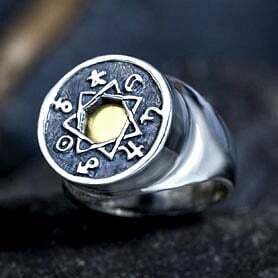 The Jerusalem ring is also one of my favorites - I wear it almost daily as well as the moebius ring. One can see this now as we have at last some sun - and one can see where I am wearing the rings- LOL!! As I am often looking at the peaces I wear during the day- and have happy thoughts- so they should come to you - a hundred times for your lives and your families.
" My order arrived ages ago, sorry for not letting you know sooner there has been a lot going on just lately. My friend loves the merkaba so much that you madxe for her that she has ordered a gold one for me as she feels (as I do) that you should receive it as a gift & not buy it for yourself so I am really liucky. Already we are seeing positive changes in her life since she has been wearing her merkaba. Her name is Sylvia Kers & she is really special. Thank you so much for the wonderful jewellry that you make I believe in the positive energy that each piece carries with it. I received my order today and it is fantastic! Thank you so much! " I received my Merkaba and it is just simply the sweetest little ball of energy... I love it love it love it!!!! Thank you for being you and providing the Spiritual gift of creating such pieces.. Brightest of blessings and thank you again!!!! " " Blessings Yaron and David i received the beautiful 7 metals chaldean ring im very pleased it is so unique thank you again for your fast service your happy customer "
when i put the five metal ring in my left hand , i felt like a bolt of energy traveling in my hole body , dizziness and some metallic flavor in my mouth , thus the five metal ring is charged with "energy" , this feeling disappeared after about 5 minutes or so. i can tell you that this ring is really charged because i am very sensitive to, i hope that it will bring success as promised. when it comes to the quality of the ring , i was expecting no less from Mr david , the jewish people are well known for there mastery in the craftsmanship of jewels , the ring is wonderful , heavy and it is exactly as shown in the pics of the ka gold website , the packaging and the shipping is excellent . the ring is beautiful and well built , the design is awesome , this the best mobius ring available out there , buying from ka gold gets you an unmatched jewels quality , beautiful packaging . superb design , built quality and packaging at it's best , i really recommend you to buy from ka gold , Mr David is making the finest comic jewelry out there , trust me the jewish people are well known for there unmatched jewels quality . Mr David for providing us with such beautiful jewels may god bless you "
As mentioned- I was able to get the parcel today from the post office. Please give my thanks to David for his wonderful work.
" Sorry I forgot to let you's know I had received it. I got it the other week. Thanks I really love it nice work David. Your work will be in my family for genrations to come. will definetly buy more from you again in the future. " afternoon, shortly before the Sabbath. David is truly a gifted artist. I look forward to more pieces in the future. You do wonderfull work, "
" Received the ring today. My wife loves it. Hope we can do business again in the future. Thank you for your patience with me. " " David and Yaron, Shalom and thank you. The entanglement pendant is exquisite. It has deep meaning for me and I will wear it with pride. I just received the Taurus pendant and love it. Thank you. With all my best wishes for peace and happiness, "
" I just received my order this morning, everything looks good; the piece is beautiful. Thank you for all your help, it has really been a huge pleasure doing business with your company. i just returned home and received your fashion accessory! I LOVE THE RING DAVID MADE! It fits perfectly. It is beautiful. I will wear it today and every day. I'll write soon after i catch up with the real world. Just letting you know my beautiful seed of life pendant with zircons arrived on Monday. What perfect timing for our winter solstice! I was also attending a night of meditation with ascended master Serpis Bey - he has alot to do with sacred geometry such divine timing. I had so many comments on my pendant I think you will be receiving a few more orders from Australia. Thank you again I will wear it every day I just love it. " Thank you so very very much. You folks are wonderful!! I received the Entanglement pendant yesterday! I just LOVE it! When I got your last newsletter, I saw it and fell in love with it before I read the symbolism. I am a Reiki practitioner / animal Reiki teacher, and this is all about oneness and harmony. I always am striving and teaching to understand and experience oneness and harmony which Reiki helps me do: bringing opposites together...gassho. This pendant for me is a perfect symbol of that. THANK YOU!
" Hello, my daughter received the phi/fibonacci pendant this weekend. She absolutely loves it! Many times throughout the day she turns it and looks at it. It hasn't come off of her neck yet. Thank you so much for such a beautiful and meaningful piece of art. I have your site bookmarked and will likely order again in the future. Thank you! " I received a beautiful pendant yesterday. I am always happy with what David makes. I received the necklace yesterday. It arrived with lots of good energy! I received my order -- Christ consciousness - silver pendant today. It is beautiful and very well crafted. Thank you very much. I will post a photo of my new pendant on Facebook and tell my friends about your business and very good customer service. Kudos to you! Hopefully someday, my family and I will be able to visit beautiful Israel. " I received my necklace today and I am so thrilled. It was exactly as your website showed and it is just as beautiful as I thought it would be. Thank you for the beatiful work you do. I will be placing more orders from your website from time to time. Thanks again and many blessings to you. " " The pendant arrived and it is beautiful and my husband loves it! You offer a QUALITY product and you have gained a new customer. The only thing I didn’t realized was that you are located in Israel! I was amazed at the quickness of delivery and very pleased with the product. I really wanted to give my husband something that had meaning! i just wanted to say that i have received the shefa ring and the MHS hamsa pendant. they are realy beautiful i have no words..., every piece is gorgeous and unique! i will make some pics and send to you. many thanks to david and to you! many blessings and best regards "